Maybe you were baptized in the warm tone of a vintage Muddy Waters album. Maybe you were dipped into the mighty Mississippi River, or maybe your baptism is a little more symbolic. 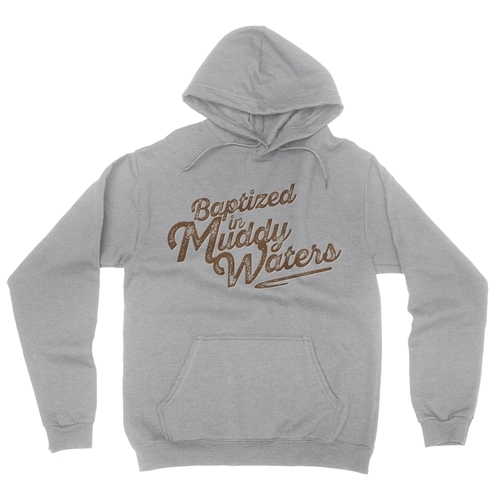 Whatever your journey is, this official Muddy Waters pullover hoodie will help get your mojo working. Every sale benefits Muddy's estate, because Bluescentric cares about the music. Chicago Blues legend Muddy Waters wasn't the first to plug a guitar into an amplifier -- but he probably made the biggest impact with it. Born in Mississippi, Muddy Waters moved to Chicago and began recording hit singles at Chess Records. He went on to record a lifetime of groundbreaking, Grammy-winning music like "I'm Ready" and "Hard Again" on Blue Sky Records. The father of Rock n Roll, Muddy discovered Chuck Berry, and taught The Rolling Stones everything they knew. 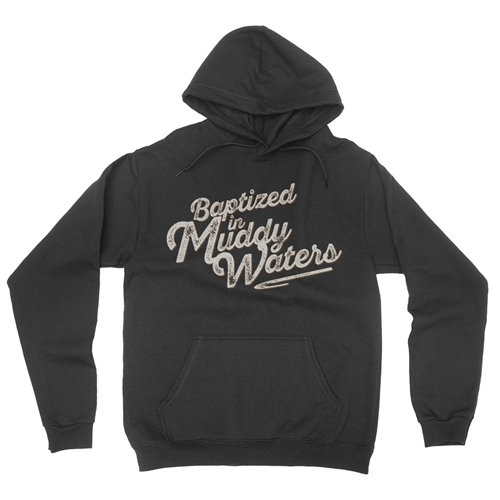 Bluescentric Muddy Waters hooded pullover jackets are printed on quality Hanes 90% cotton, 10% poly high-density cotton jersey-lined pullover with dye-matched drawstring. Light Steel is 85% cotton. 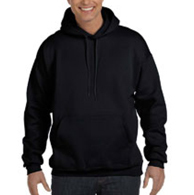 Sizes are available up to 3XL and run true.